The White Door, a bespoke luxury spa, serves as a haven for purity, hygiene, transparency and perfection. It aims​ ​to redefine the way the urban populace views the concept of ‘premium care’ by curating the finest bespoke services, complemented with international standards of hygiene and technical expertise, with​ ​high-end beauty products sourced from across the globe. Their roster of services includes everything from hand and feet care, ​ ​nail art, bespoke facials, as well as spa services and personal grooming. Love is back in the air and this time, it comes with some pampering too! The White Door celebrates self-love all through the year, but with Valentine’s Day around the corner, they have specially curated packages for your beloved and you. One can get the “Keep Calm and Spa On” package that includes an in-chair facial, classic pedicure and a 15-minute foot massage all at the price of INR 2700 for self-love and INR 5100 for the couple. The “Pretty in Love” package is the right one to prep you for the big date. It’s a specially curated package to get you looking and feeling your absolute best. 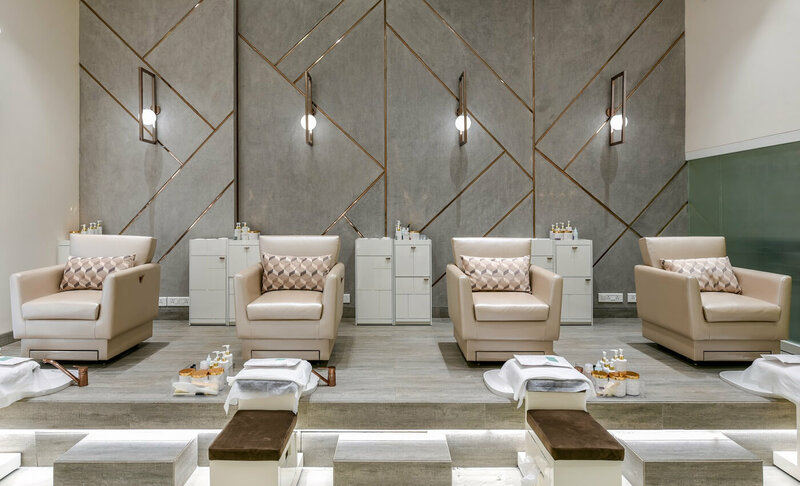 The package includes services which would make you sparkle as bright as a diamond, from the shine bright facial to a classic manicure and pedicure with quick and quirky nail art. Get the nail shine right with OPI gel polish, all at the price of INR 5500. Apart from the packages, The White Door’s decor will shift from an all-white to a few glimpses of red. As you gift your significant other some time off from the everyday hustle, The White Door will make sure to rejuvenate their spirits. Some pampering along with Netflix and a blanket is just what the doctor prescribes. For The White Door, the core belief is, ‘All you need is love. But a little chocolate now and then doesn’t hurt,’ and therefore prepare to indulge in the feel-good menu that is waiting for you. There’s plenty of love to go around at The White Door to make you and your precious one feels renewed, revitalized, and restored.